Sevilla have confirmed that they have begun legal action against Vitolo after he joined Atletico Madrid on a permanent deal. The Spanish international was linked with a move to Diego Simeone’s Atleti following the end of the season but due to their transfer ban – a move was seemingly ruled out. However, earlier this month – the Spanish capital side announced a €37.5m for the midfielder, who would join Gran Canaria Las Palmas on a six month loan period until January when Atleti can register new players. 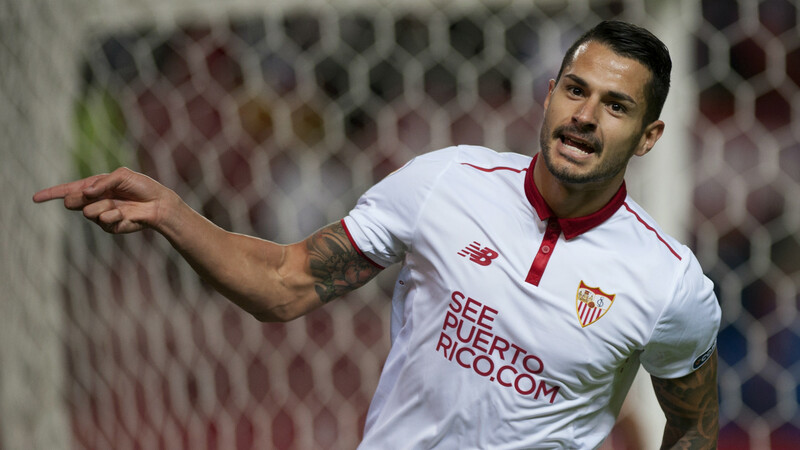 What escaped most was the fact Vitolo has already penned a new deal to remain with Sevilla – and two weeks following the move – the Andalusian side have now taken matters into their own hands. The 27-year-old, who has begun training with Las Palmas for the new season – will now expect to hear from authorities about a ‘breach of contract’, with Sevilla claiming he signed a new five-year contract. “The board of directors have agreed to take legal action against those who have intervened in the departure of Vitolo from the club,” a statement on the club’s website. “They are the player himself, his father, the representation agency Bahia and the clubs Atletico Madrid and Las Palmas. Vitolo spent four years at the Ramon Sanchez Pizjuan after arriving in 2013 and has gone on to make several appearances for the Spanish national side.